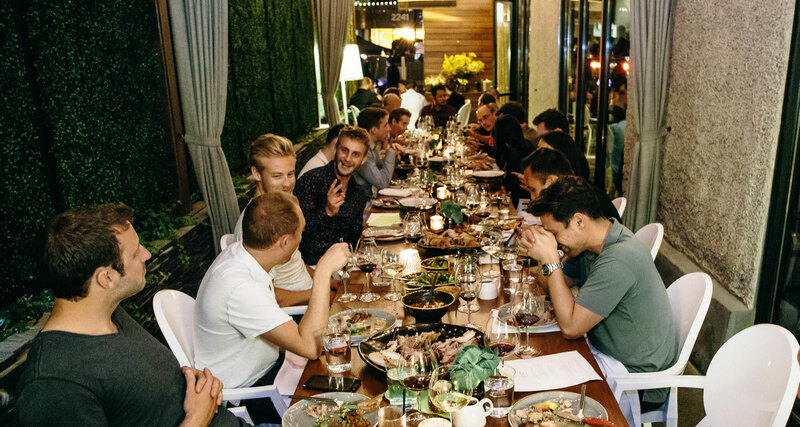 Juniper & Ivy boasts several unique and versatile event spaces to suit all of your private dining needs. Whether it's the second floor overlook for a private party, an al fresco patio experience, or a semi-private space within the bustling main dining room, we look forward to meeting your needs and hosting the perfect event. Our private dining room is located on the second floor, overlooking the restaurant's bar. The room offers complete privacy from main dining room for more intimate occasions. Our Semi-Private Dining Cube(s) are located at the back of the main dining room. You will still get the energy from the main dining room but will have a curtained off area for your party to celebrate with some privacy. For an open-air dining experience, our al fresco patio offers the perfect ambiance to enjoy our award-winning menu. A front row seat to our all-star team of chefs in action. This high top table puts you right at the heart of Juniper & Ivy's main dining room with a clear view into our kitchen.